One of the works Luminous Voices will perform on its own is The Twelve by William Walton. The Twelve is an anthem for the Feast of any Apostle, and will feature both Neil Cockburn on the organ and various soloists from within the choir. 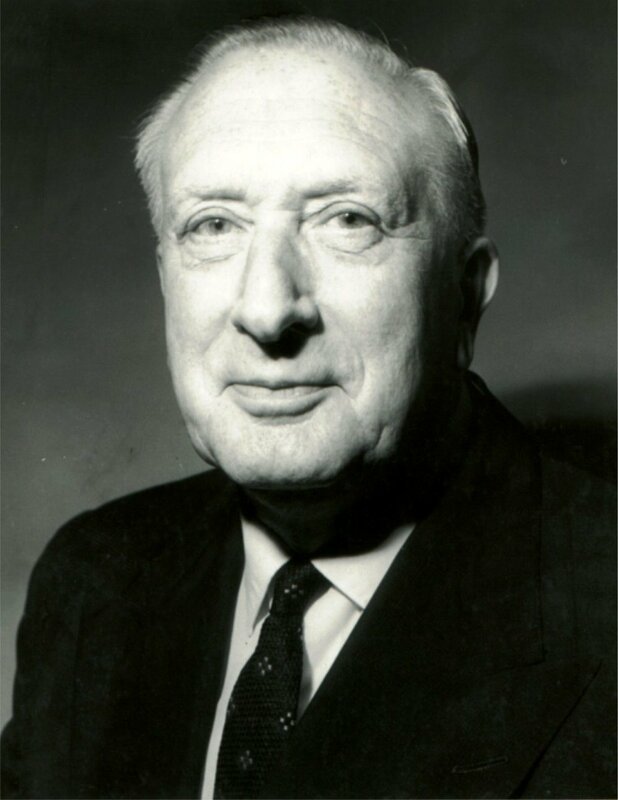 During a sixty-year career, Sir William Turner Walton wrote music in several classical genres and styles, from film scores to opera. His best-known works include Façade, the cantata Belshazzar's Feast, the Viola Concerto, and the First Symphony. Walton was a slow worker, painstakingly perfectionist, and his complete body of work across his long career is not large. He wrote only one full-length opera, Troilus and Cressida, which has made little impact in opera houses. In his last years, his works came back into critical fashion; his later compositions, dismissed by critics at the time of their premieres, were revalued and regarded alongside his earlier works. That said, almost all Walton's works have been recorded for commercial release. EMI published a "Walton Edition" of his major works on CD in the 1990s, and the recording of the Chandos Records "Walton Edition" of his works was completed in 2010. The Twelve was commissioned in 1965 by Christ Church, Oxford, where Walton had attended choir school years before, and with which he had maintained a professional relationship. The Dean of the school, Dr. Cuthbert Simpson, had long been dissatisfied with the anthems available for use in church services, and especially sensed a need for music appropriate for Apostolic feast days. He thus approached Walton and poet W.H. Auden with a request for such a piece. The work stands as one of the most distinctive in Walton's repertoire, owing largely to its wide ranging palette of harmonic colours, its ambitious style of rhythm and articulation, and its evocative and expressive approach to vocal texture. At the time of its premiere at Christ Church in 1965, the work was scored for SATB soloists and SATB chorus, with organ accompaniment. A year after the premiere of this original version, the composer arranged the accompaniment for full orchestral forces. This fully orchestrated version was featured as part of a concert celebrating the 900th anniversary the establishment of the Westminster Cathedral, under whose arches it took place in January 1966. The work runs about 11 minutes; it is divided into three general sections following Auden's text. In the first, the humble beginnings of the apostles' ministry in chronicled, as well as the spread of their message, the conversion of masses, and the martyrdom at the hands of conspiring government officials. The second section is a penitential poem whose quiet, fragile tones Walton entrusts to tandem soprano soloists. The final section initially returns to the low men's range, employing a male chorus and tenor and bass recitative passages. Auden's final lines are delivered in a fugal texture before settling into a triumphant homophonic charge: "praise them with a merry noise." VIDEO... Listen to the Choir of Wells Cathedral, Somerset, perform The Twelve, under the direction of Malcolm Archer.